Regardless of which team you root for, there’s one thing we can all get behind on Super Bowl Sunday….amazing snacks. Pre-order the ultimate party snacks from our Super Bowl catering for pick up menu; we’ll prepare everything so that all you have to do is pick them up the morning of the game. 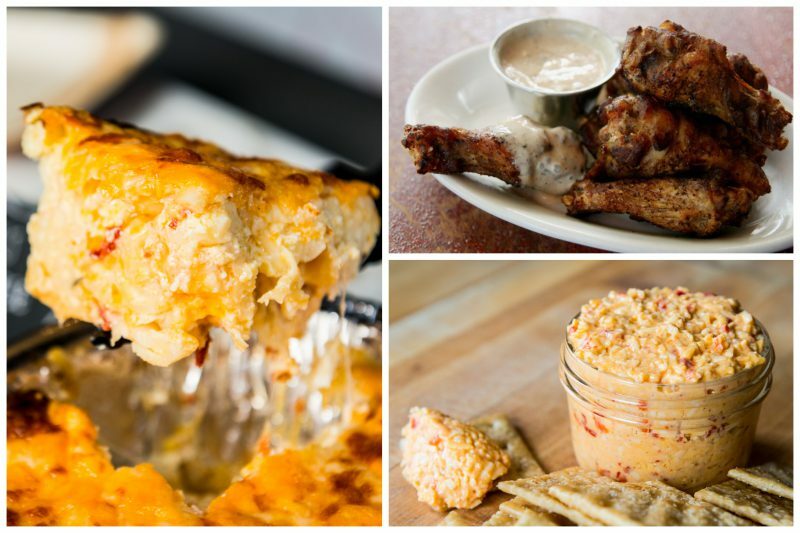 Check out our options of Super Bowl small bites, dips, and desserts for pick up, including buffalo chicken dip, queso with house made sausage, chilies, and tomato, and classic Poole’s pimento cheese. Get ready to tackle half-time hunger with pecan smoked chicken wings plus sauce of choice, cheese plates and charcuterie boards. And a sweet way to end the game? Grab a tray of brownies or blondies (you should probably get both, to be honest). See the full menu here. Our pickup window for food will be Sunday, February 3rd from 9am to 1pm. Fair warning, after this order, you may be stuck hosting the Super Bowl party for the rest of forever. But hey, the food will be so delicious, you won’t even mind. Place your order today!